In March of 2010 I was shopping for a pack rod and came across this funny looking fly rod that said it was fished without a reel. 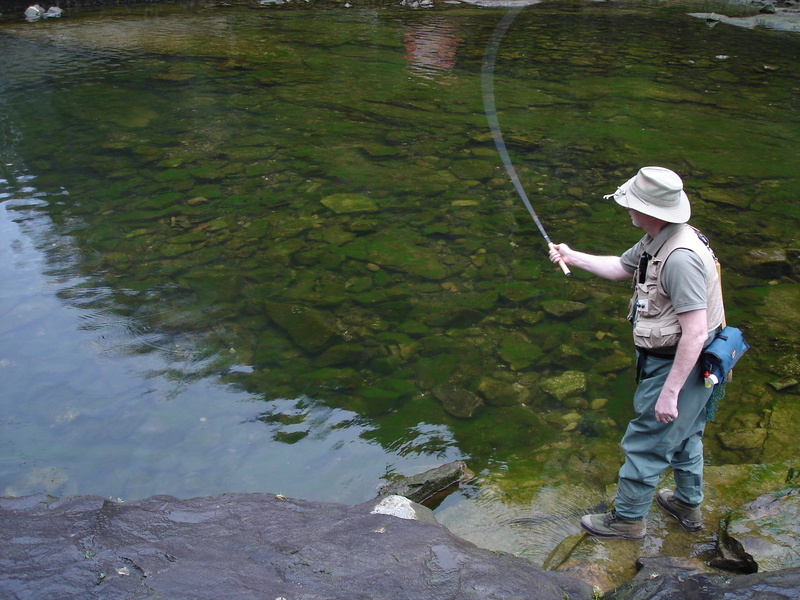 For the lay person, the term Tenkara fly fishing (japanese = テンカラ, literally: “from heaven”, or “from the skies”) is a traditional type of fly fishing practiced in Japan for about the last 200 years. 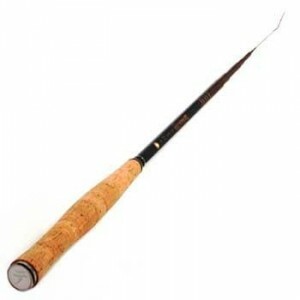 The rods are primarily used for mountain stream trout fishing, and are super light, compact, are easy to carry when hiking, and easy to travel with - just throw it in the carry-on luggage. 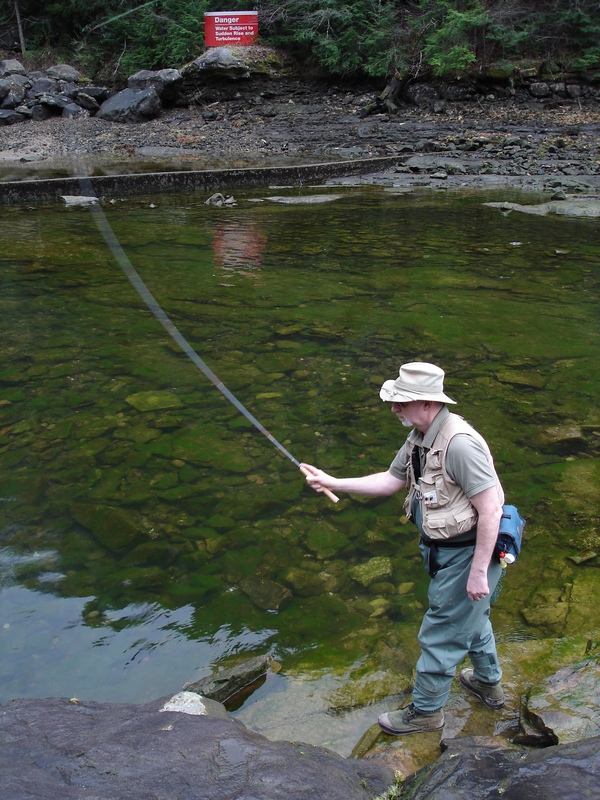 Think of the rod as a move towards the Zen of fly fishing. The minimal amount of gear to fly fish with, and a minimal amount of action while casting. Tenkara has been virtually unknown outside of Japan until the first company to introduce and popularize tenkara outside of Japan, Tenkara USA, was founded in April 2009 in San Francisco, California, by Daniel Galhardo. After some research I decided on the 12′ Iwana rod. It has a 6:4 action and is perfect for small mountian streams. The stats are as follows. The rod arrived in a nicely designed aluminum case. Inside is a well sewn tie sock. I was surprised by the lightness and beautiful attention to detail when I slid the rod out of the sock. The rod came with the line and a few flies. To rig up the line is a breeze, you just loop one end over the red attached line provided on the rod, and slide your looped knot down to the knot on the end. Casting is a bit weird at first since there’s no line to load. But once you get the hang of it I’d say it’s similar to casting my 4 weight rods. I’ve attached a few shots of me in action, and you can see the bend of the rod through the cast. The biggest kick I got from using the rod was when I was climbing over boulders and scrambling through the dense under brush. You just have to telescope the rod closed, and then slide it open when ready to fish again. A final note. I’ve broken the tip section twice now (just doing your normal stupid things-don’t ask). 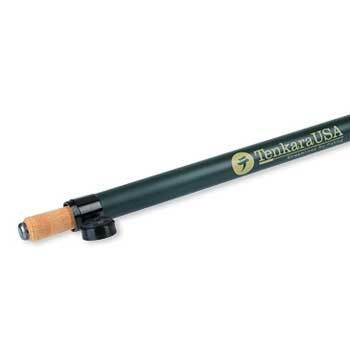 Compared to any other rod company, where you have to ship the rod in and pay quite a bit to have a new section built, the Tenkara USA company has a replacement parts section on their website where you buy the replacement tips for $7 + shipping and then repair it yourself. They have a video that shows you how to unscrew the bottom and in less then a minute the rod was repaired. I had to replace a tip on a 4 weight Winston rod this summer, $50 for shipping and handling and $185 for the new tip. For that price I can buy about 19 new tips for my Tenkara rod. At the rate I’m going I’ll have done that within 5 years. Bottom Line — buy one of these rods and carry it at all times. This entry was posted in Fly Rods, Tenkara, Travels by charles. Bookmark the permalink.